Sen. Kevin Rader, D-Boca Raton, speaks to a roundtable of officials, first responders and advocates about the opioid epidemic at Palm Beach State College in Lake Worth on Aug. 8, 2017. State legislators came to Palm Beach County Tuesday to discuss the opioid crisis. County officials, first responders, treatment professionals and advocates offered up stories from the front lines and ideas for reducing overdoses and deaths. Florida Senate Appropriations Chairman Jack Latvala of Clearwater said he was surprised by the turnout. This year, Palm Beach County taken $1 million from its general fund to address the epidemic. “This is the number one public health crisis facing our community and the country. This is the number one criminal justice issue facing our community and the country,” State Attorney Dave Aronberg said. Palm Beach County Vice Mayor Melissa McKinlay said the epidemic is impacting manufacturing and business communities. “People cannot pass drug tests because of this,” she said. Gabrielle Finley-Hazle, CEO of St. Mary's Medical Center in West Palm Beach, said on any given day the center has up to seven newborns experiencing drug withdrawal. Latvala said he plans to take ideas back to Tallahassee — specifically, funding for more public drug treatment beds and holding drug users that overdose repeatedly. 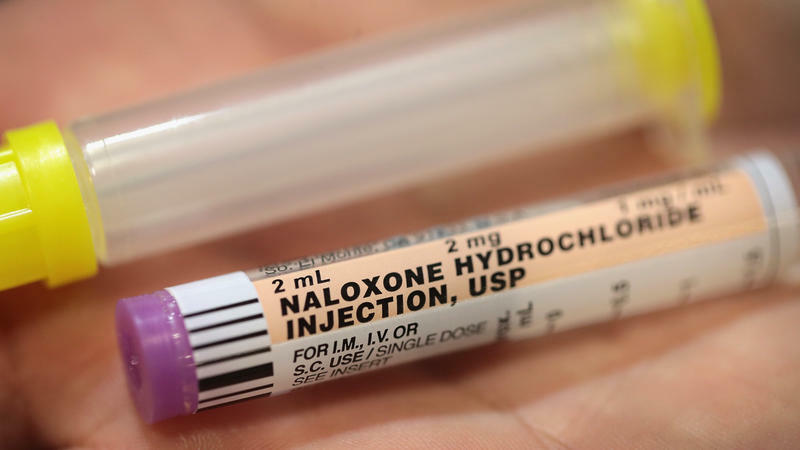 “When they’ve had two or three overdoses in the same day already…whether we ought to look at some kind of mandatory hold process,” he said. Officials report nearly 400 people have overdosed in Palm Beach County so far this year, up from about 300 at this time last year. An internet black market used by some Floridians to buy and sell heroin and fentanyl has been shut down in an international law enforcement operation. Nowhere in South Florida has been hit harder by the opioid overdose epidemic than Palm Beach County. The number of fatal opioid overdoses has gone up 230 percent in the past two years. More than 540 people died last year. All of those fatalities have to be autopsied by one of the county’s five pathologists. More Calls For Legal Action Against Opioids While Scott "Continues To Look At All Different Options"
While Gov. Rick Scott isn't committing to using courts in the battle against Florida's opioid crisis, a state senator from Miami and a Palm Beach community want to use the legal system to address the crisis.